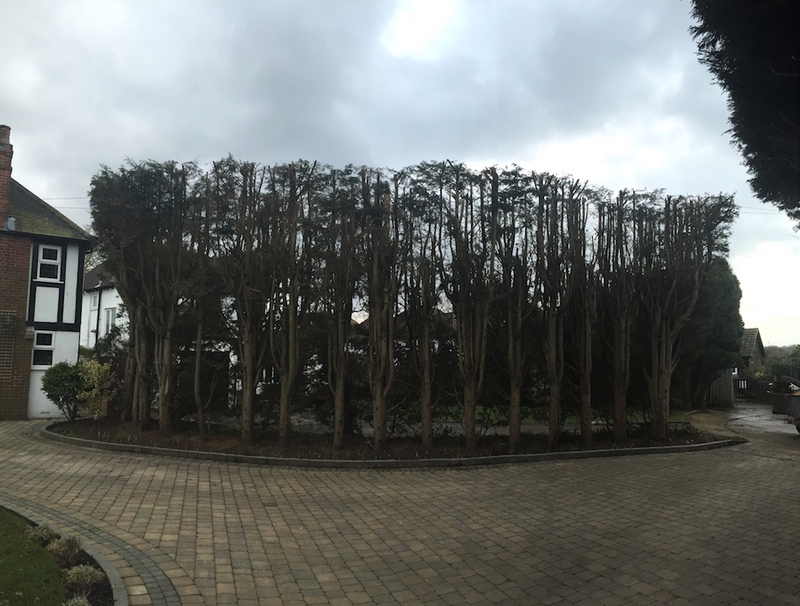 Welcome to ABG Trees and landscapes. 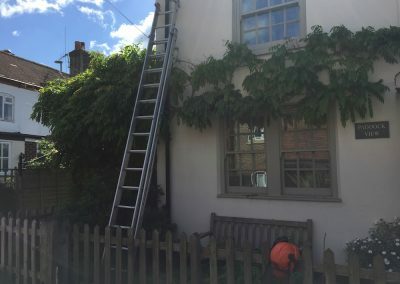 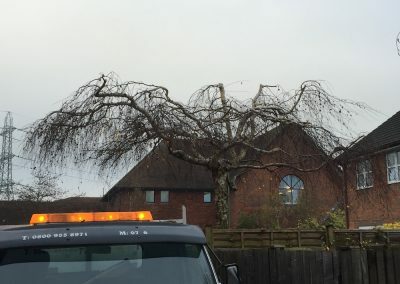 We have been established over 10 years and all our staff are fully trained to the highest standard (Merrist wood college) and we hold all up to date insurance liability of up to £10,000,000. 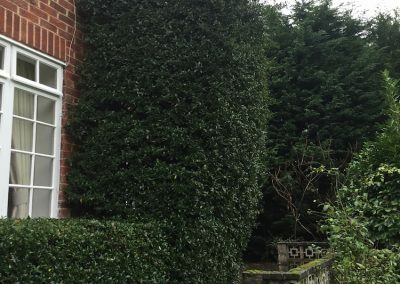 We look forward to hearing from you. 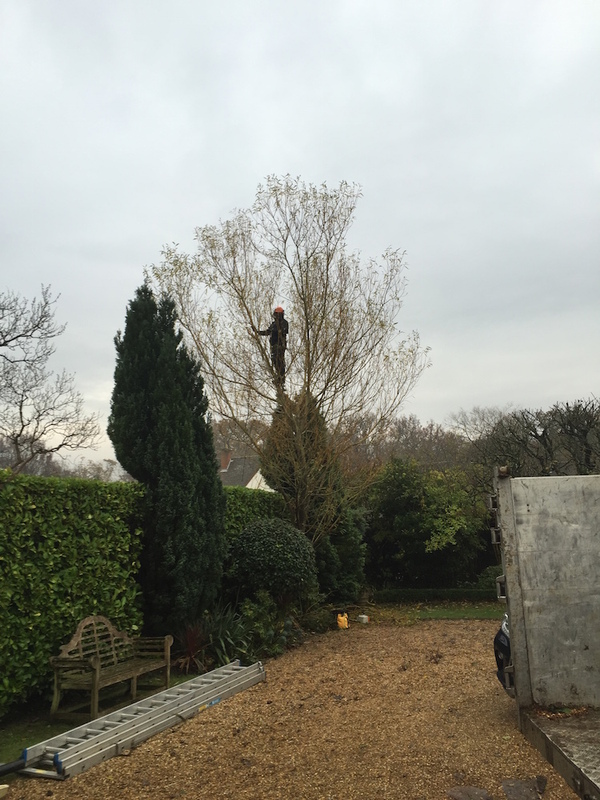 There are a few tree species that can benefit from being pruned at certain types of the year. 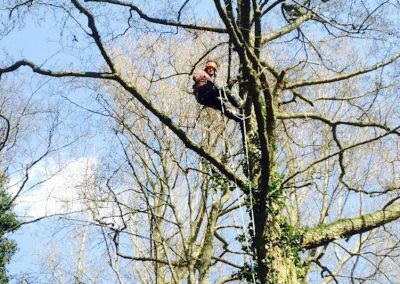 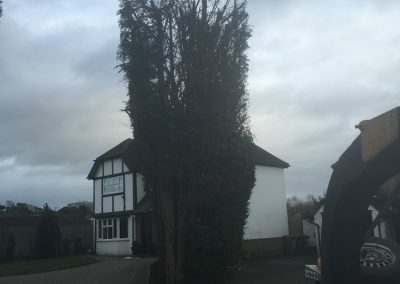 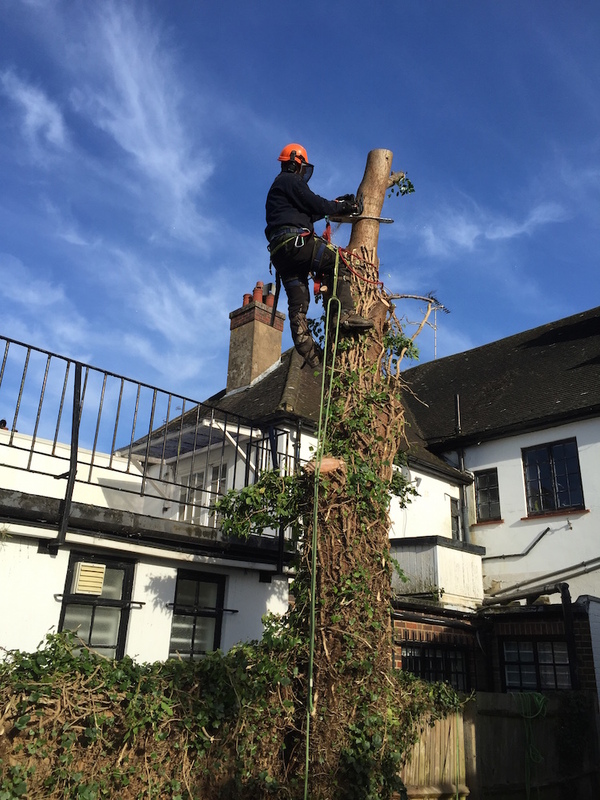 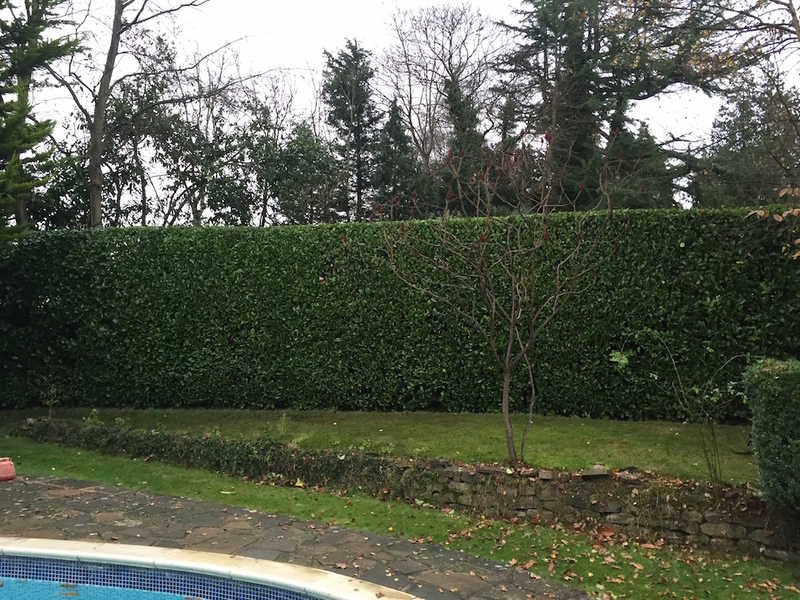 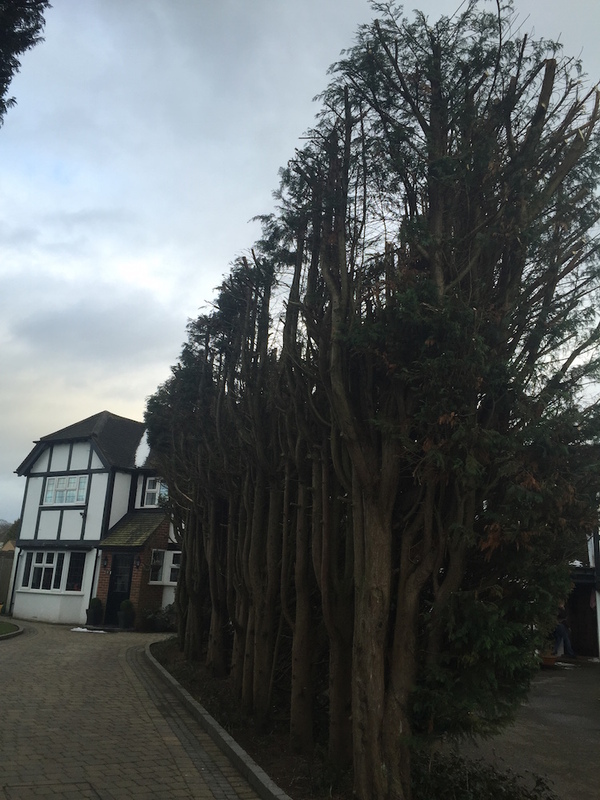 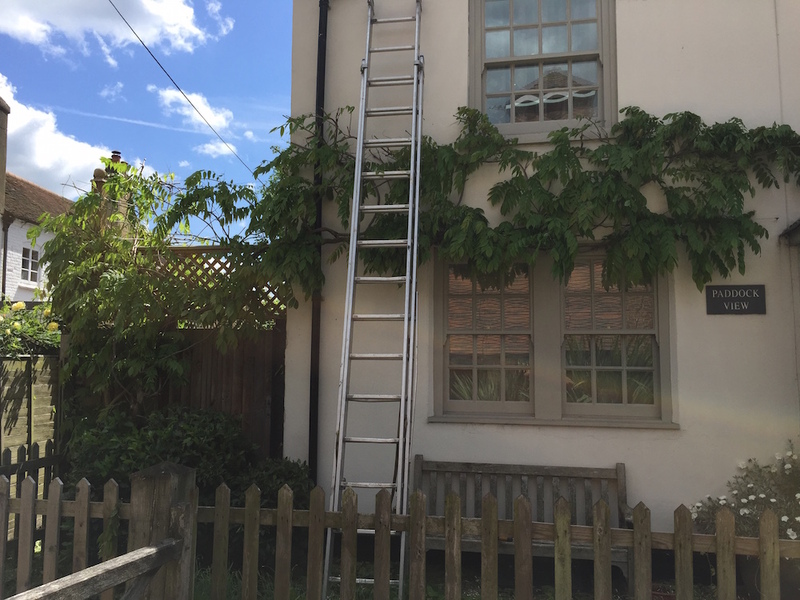 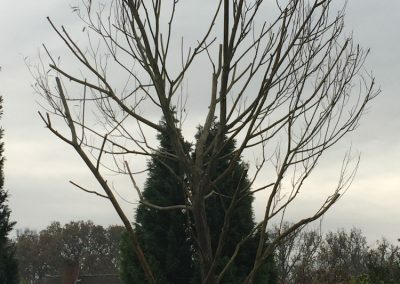 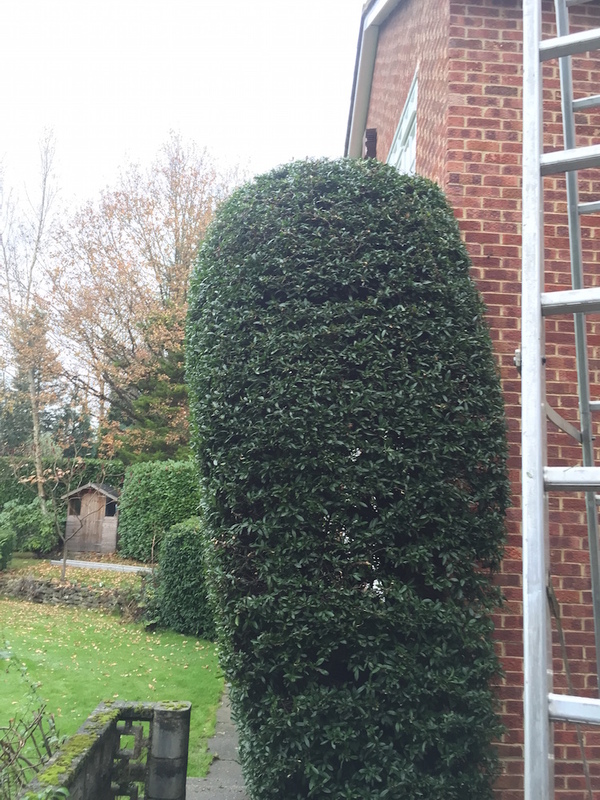 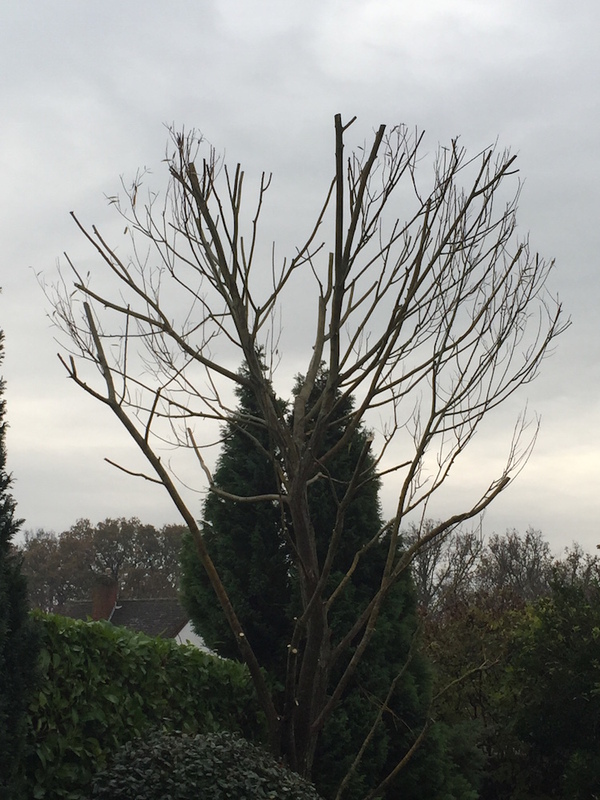 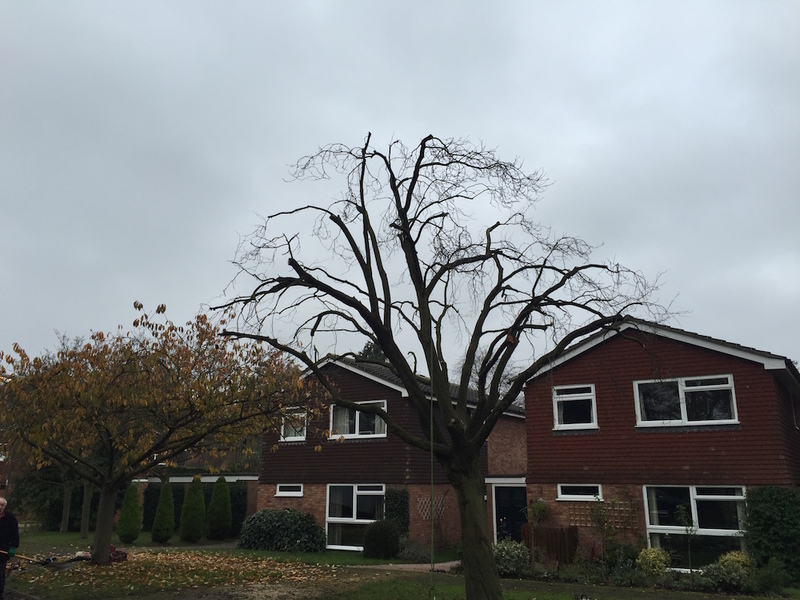 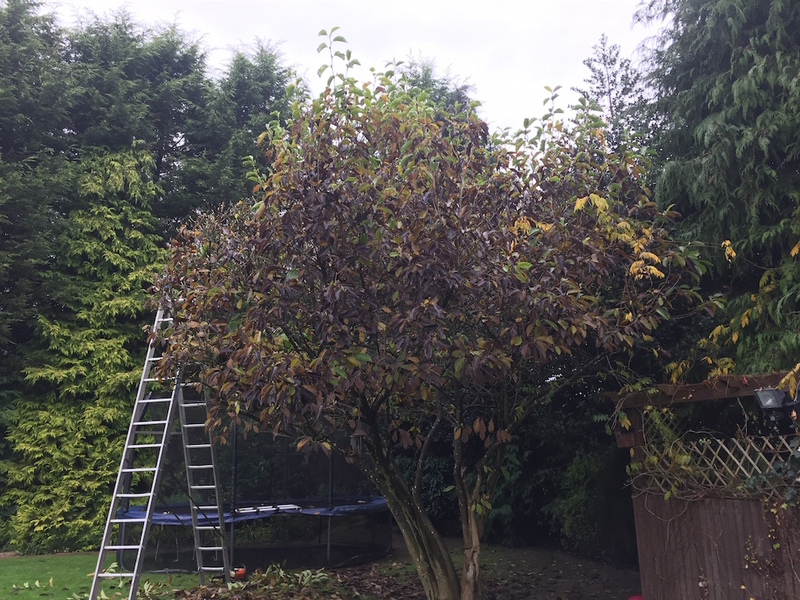 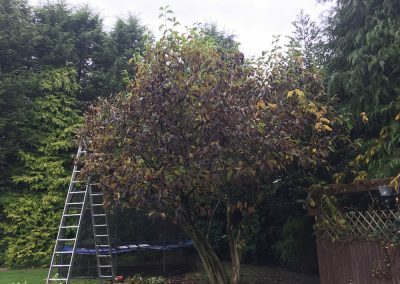 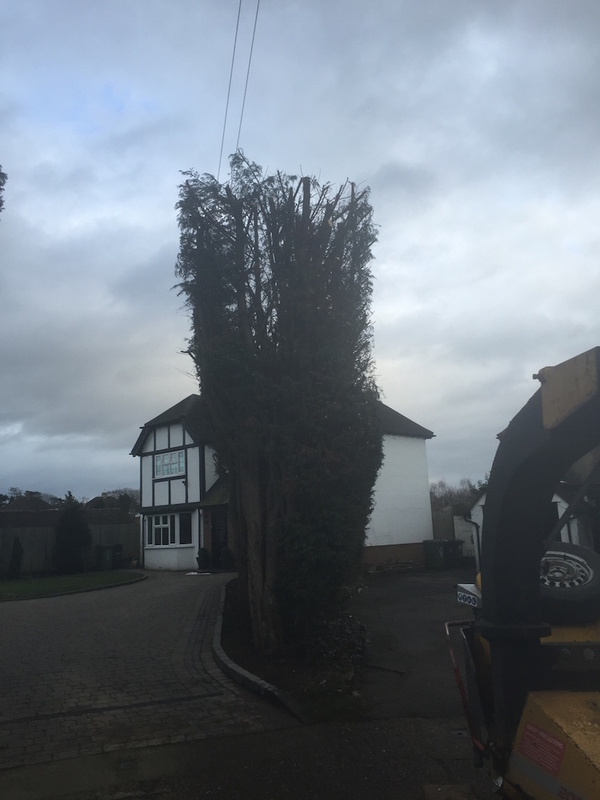 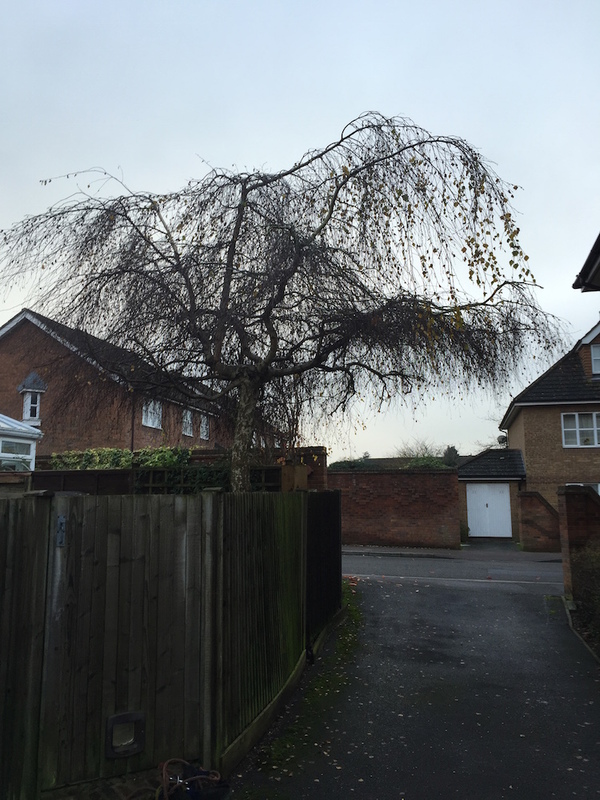 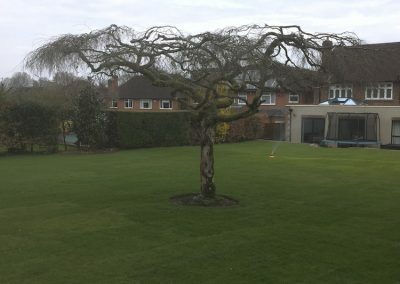 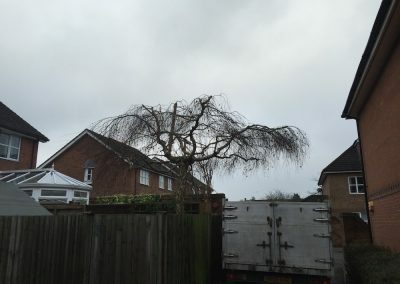 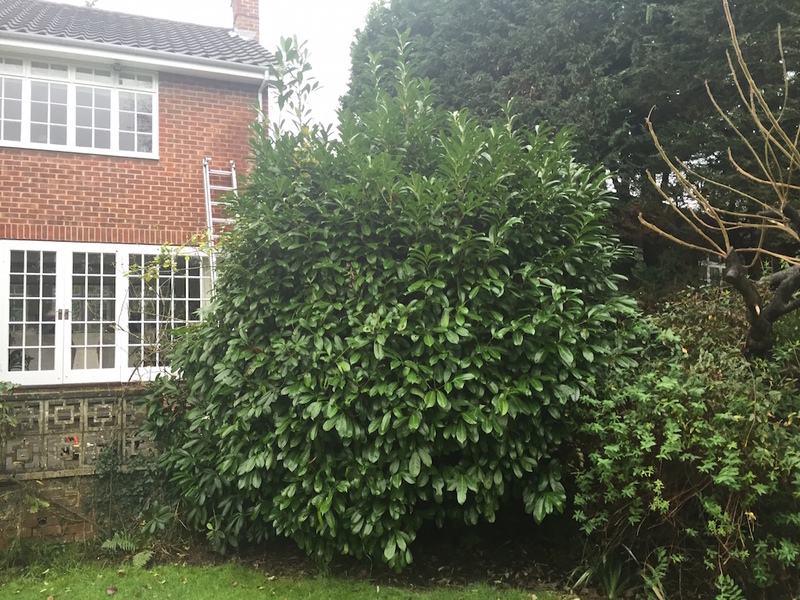 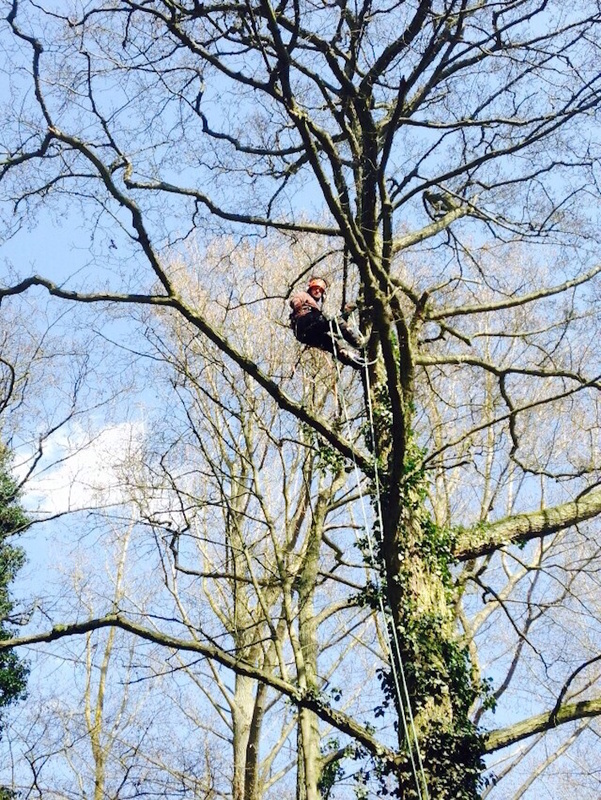 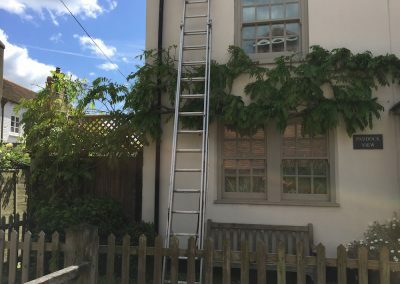 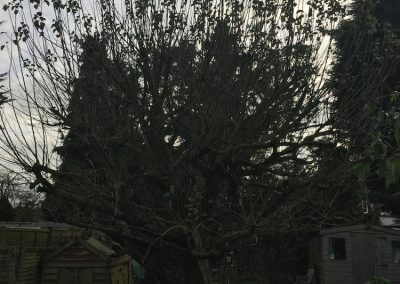 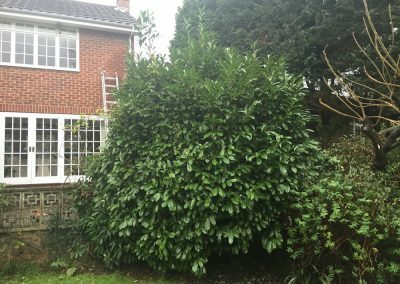 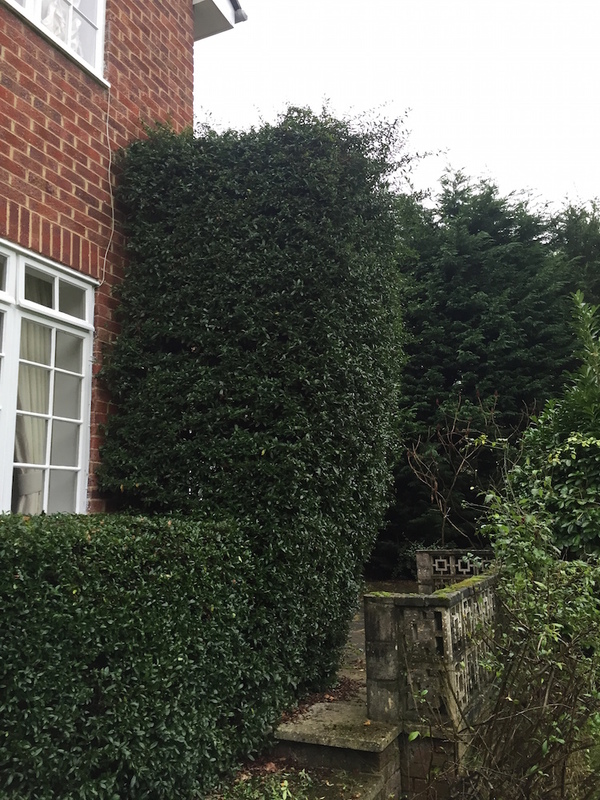 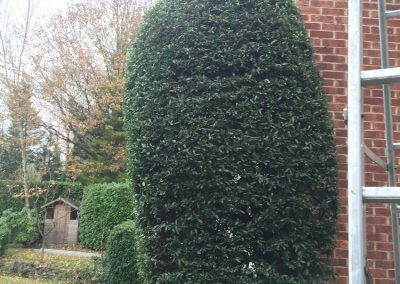 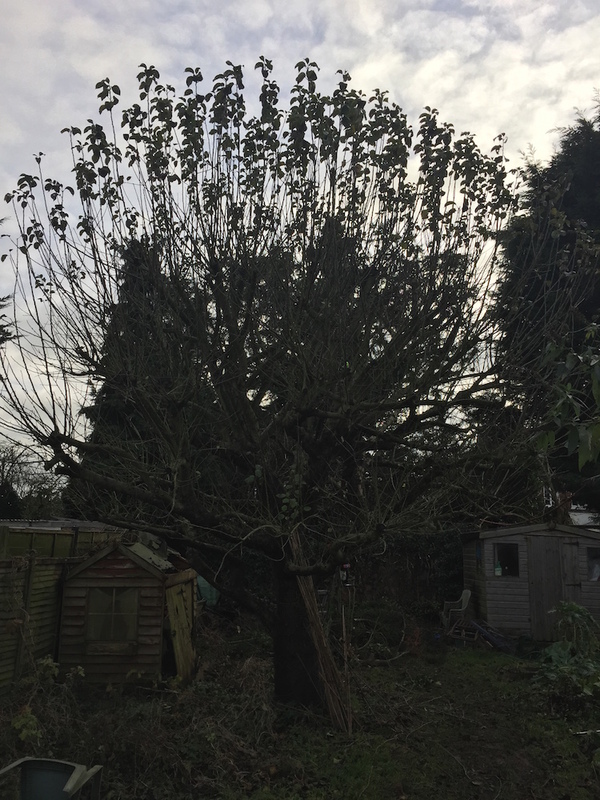 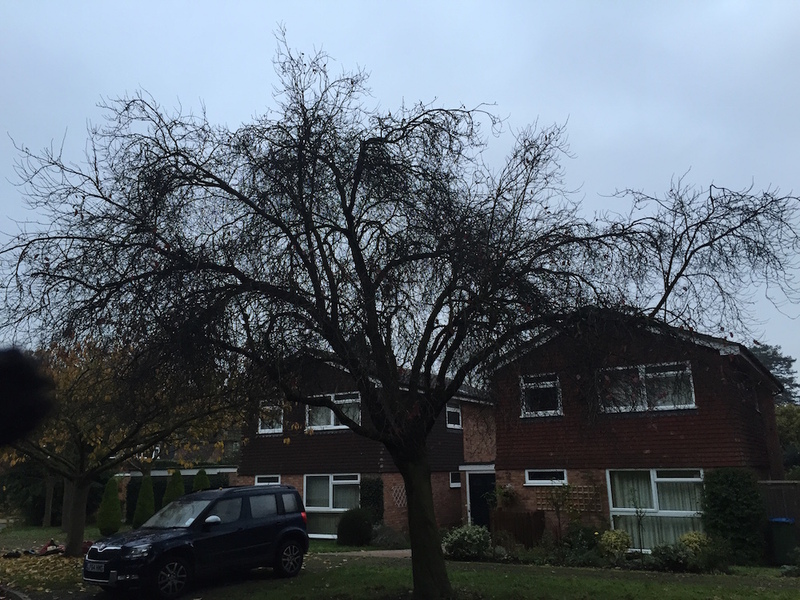 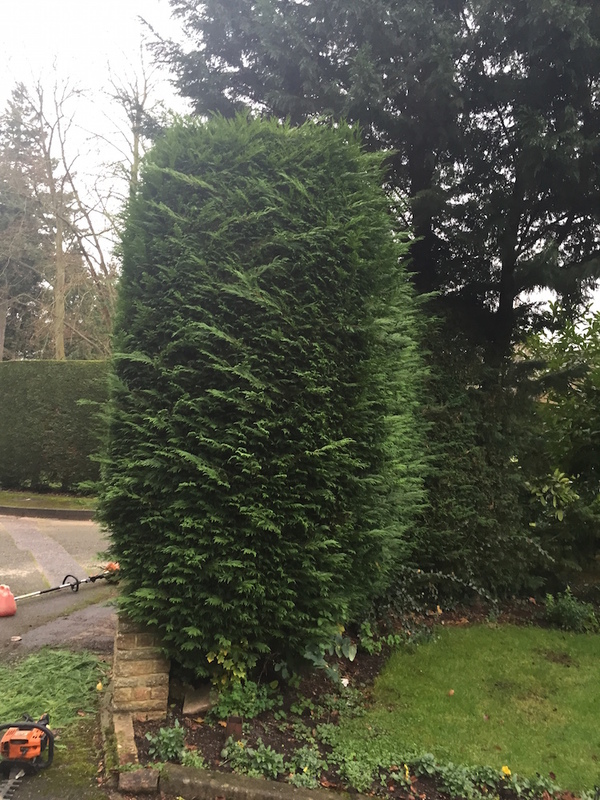 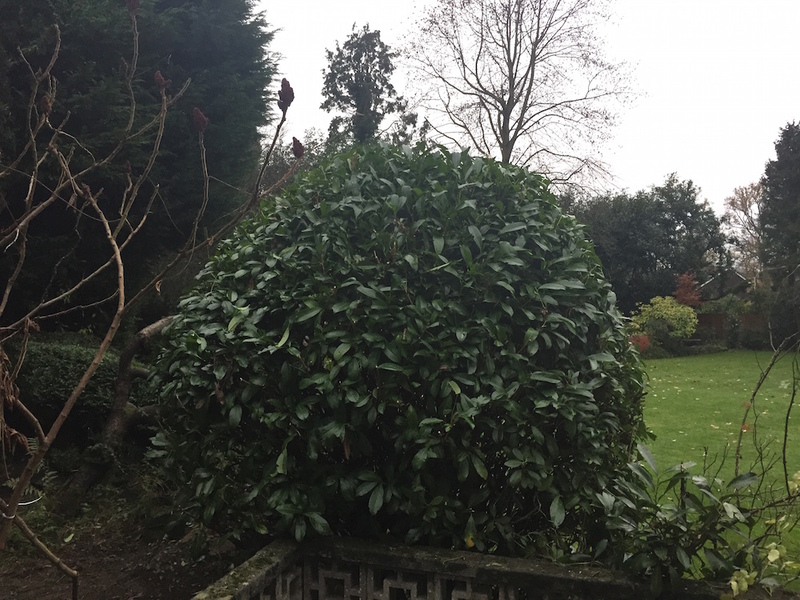 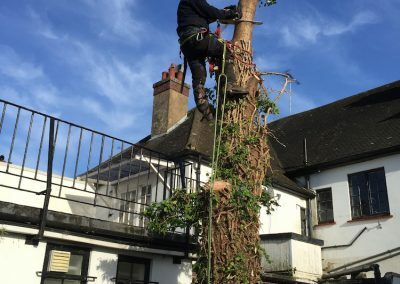 If you are not sure at what time of the year your tree should be pruned, then please don’t hesitate to contact us. 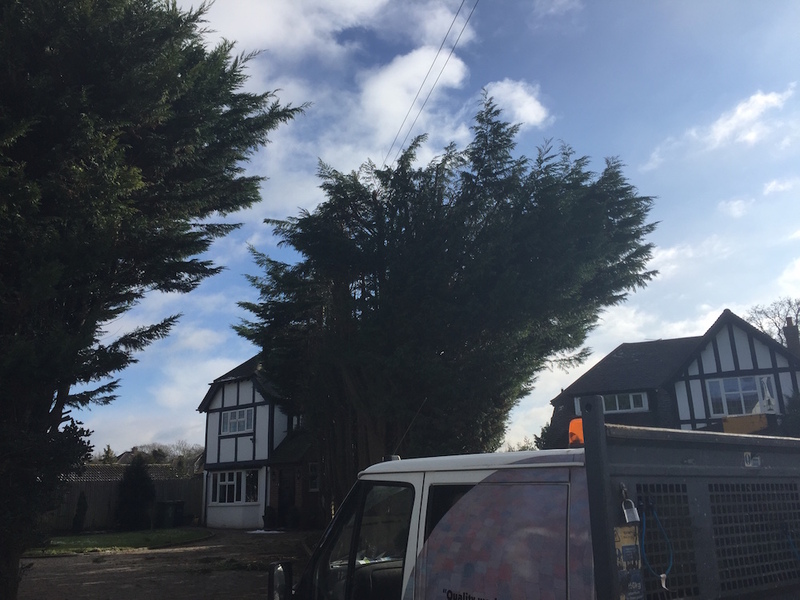 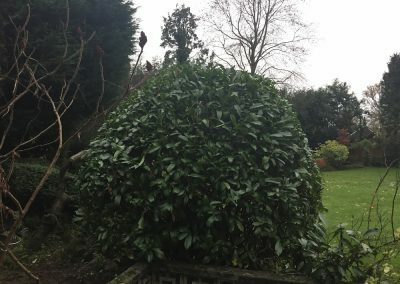 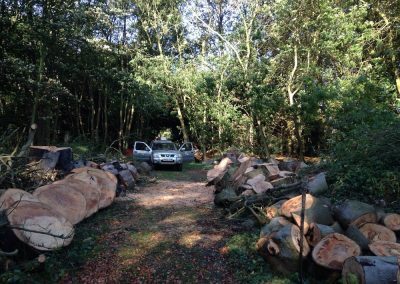 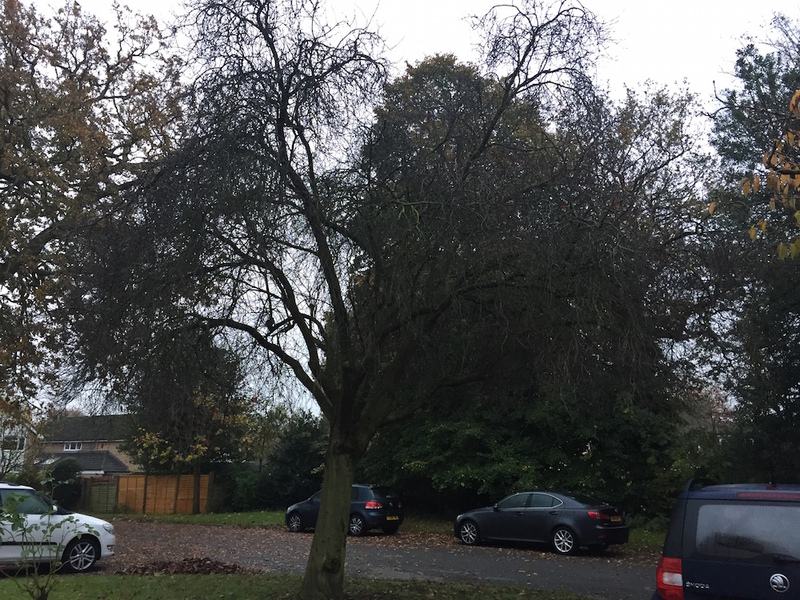 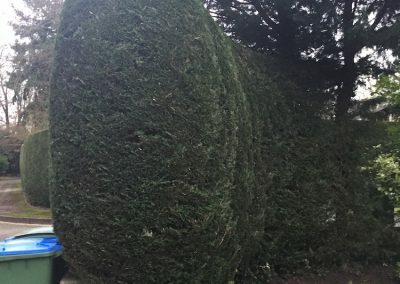 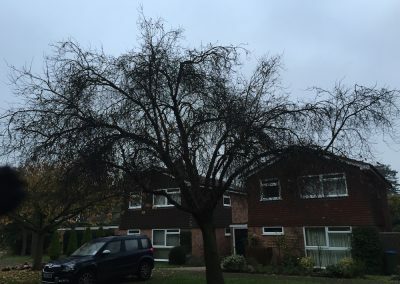 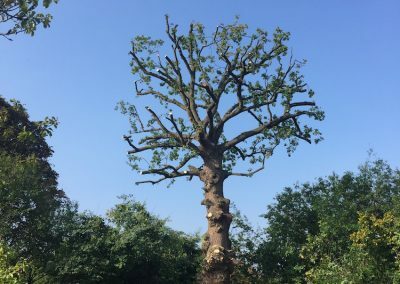 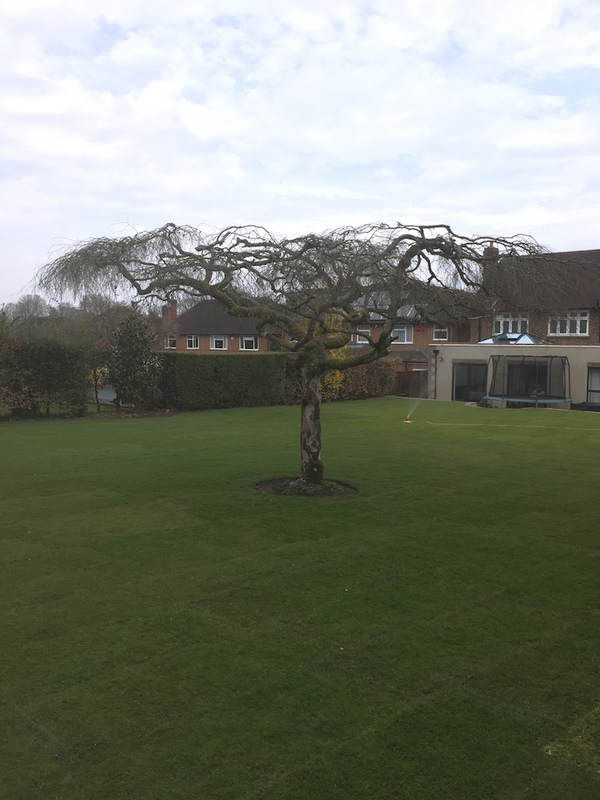 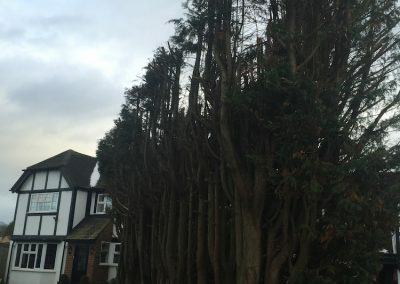 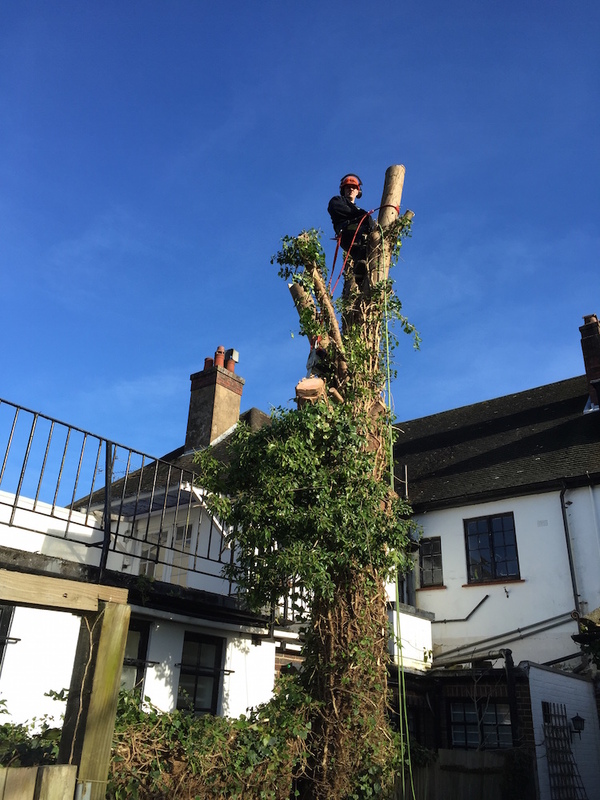 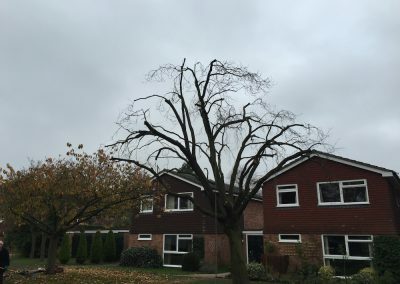 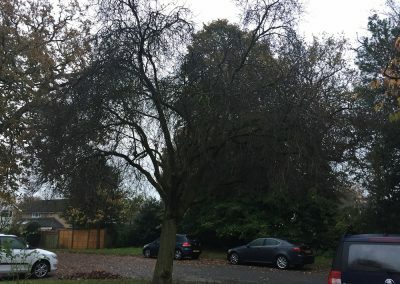 The first action to take when considering having your trees attended to by an arborist is to check whether your trees have any tree preservations on them or are in a conservation area. 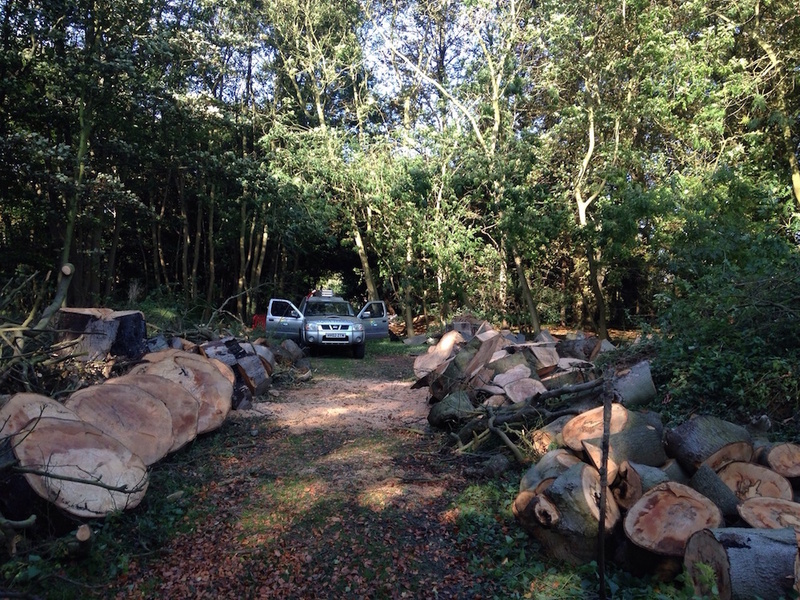 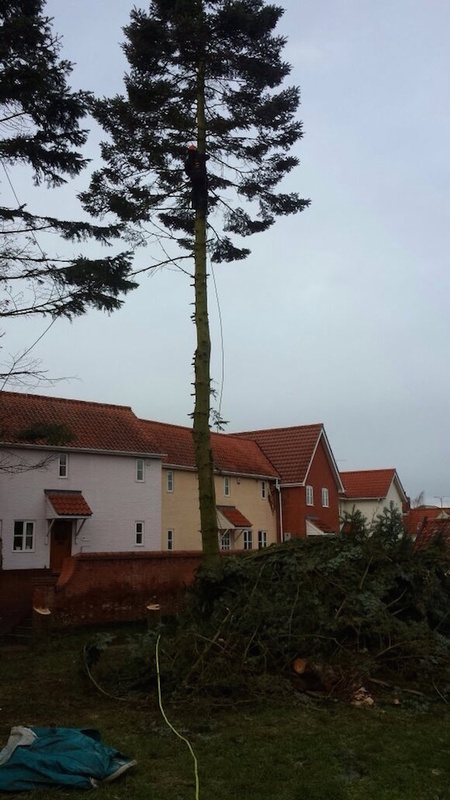 This can be done by contacting your local planning authority / local council tree officer. 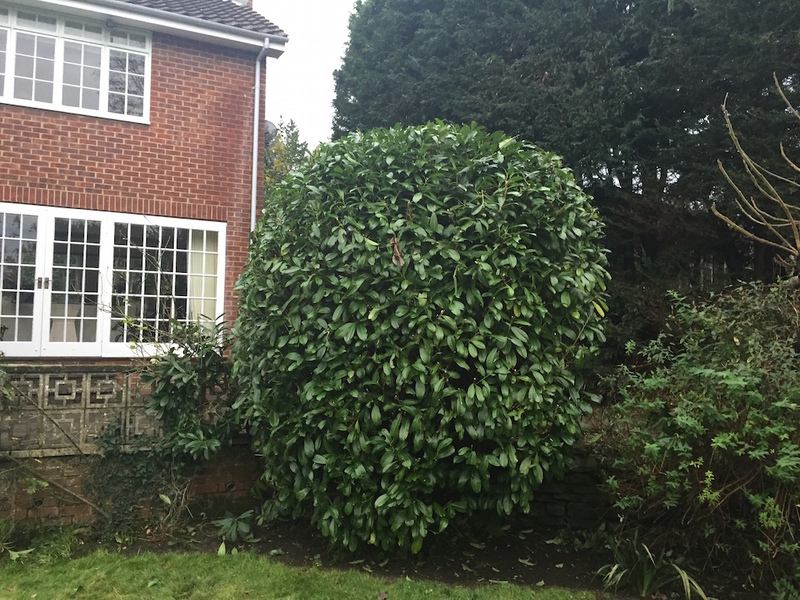 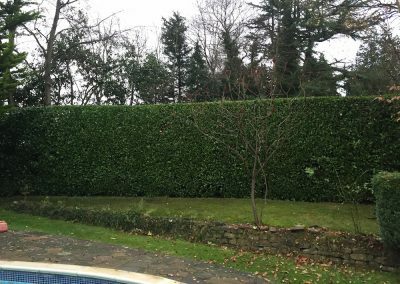 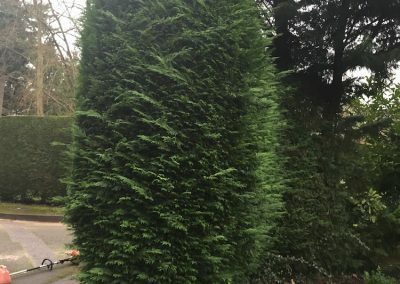 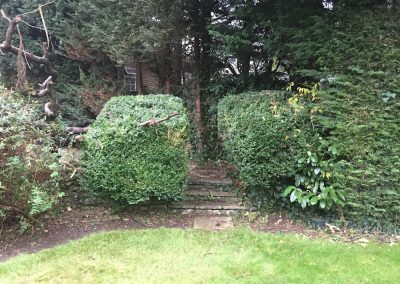 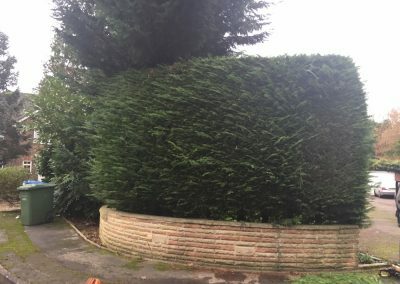 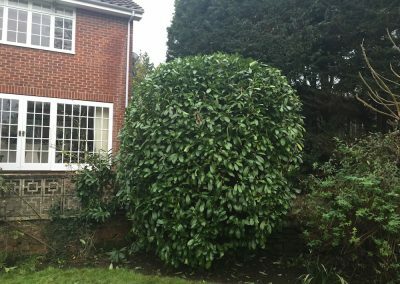 ABG Tree Services & Hard Landscaping can also provide this service for you on acceptance of quotation. 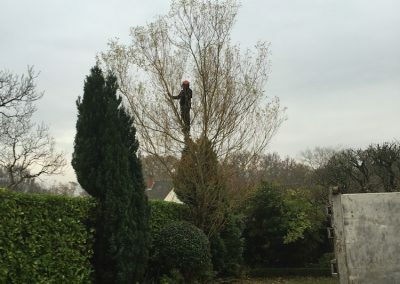 Pruning of young trees to modify their form at maturity, either to avoid future structural defects (for instance by singling a twin-stem) or to create a desired cultivated tree form. 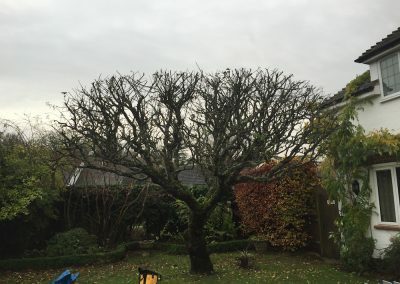 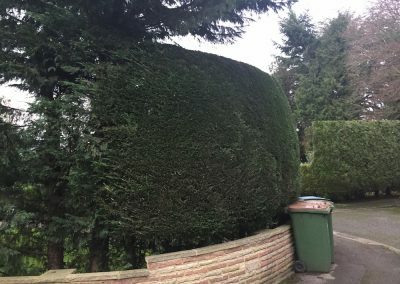 The term is reserved for young trees because all pruning could be said to change form. 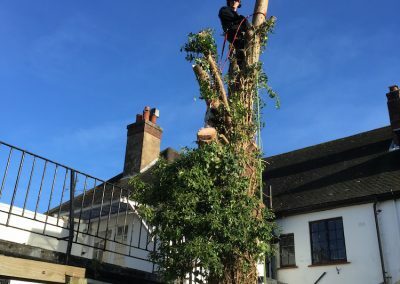 The removal of lower branches of a tree, whether complete branches or those arising from the lower limbs, to increase the headroom to the base of the crown. 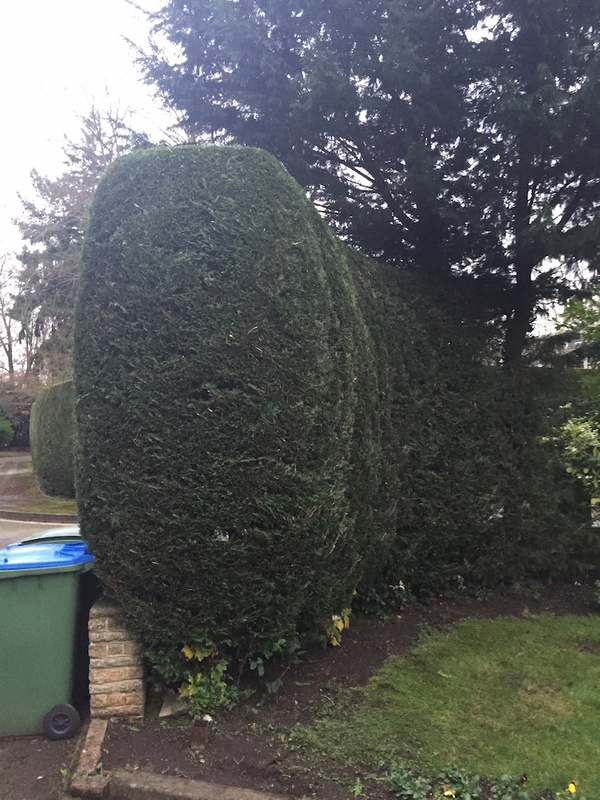 A form of pruning in which the extent of the crown is decreased by a certain percentage without (primarily) decreasing its density. 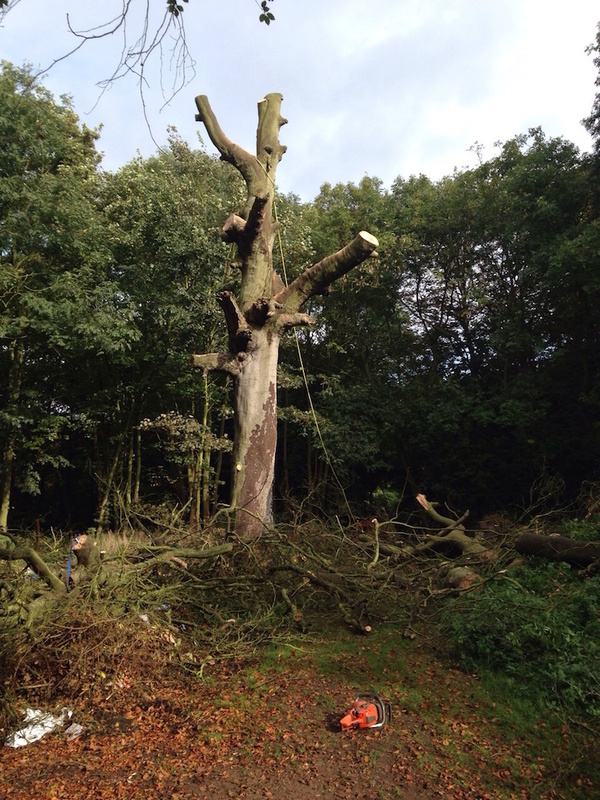 This operation is undertaken to reduce loading or general size, balance the crown or to mitigate a nuisance. 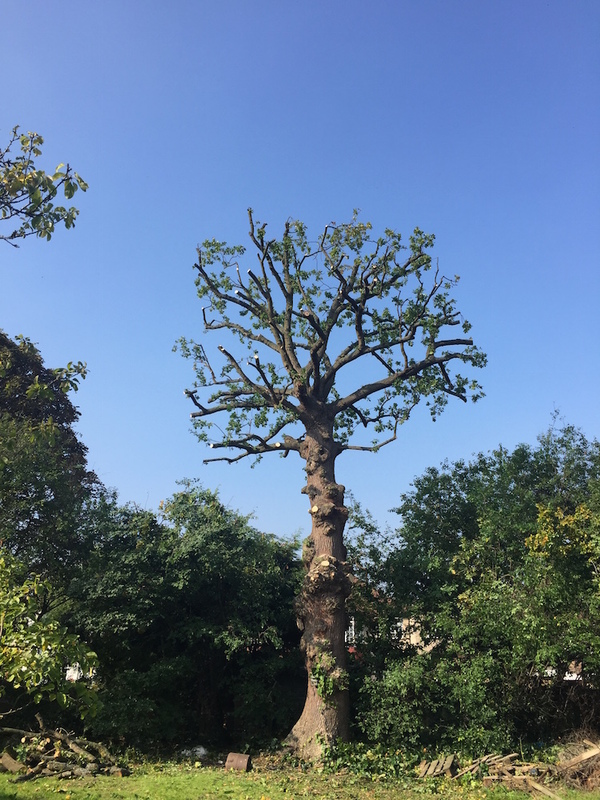 An operation undertaken in which individual branches are removed from the crown to reduce its density by a certain percentage without (primarily) reducing its extent. 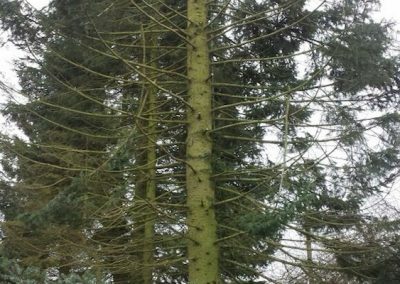 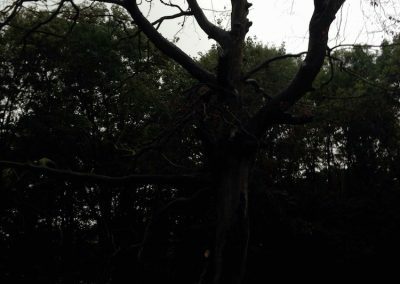 This can achieve various results; increase of natural light through the crown, reduce wind resistance to stabilise tree, balance crown and to insure a positive structure of sound limbs. 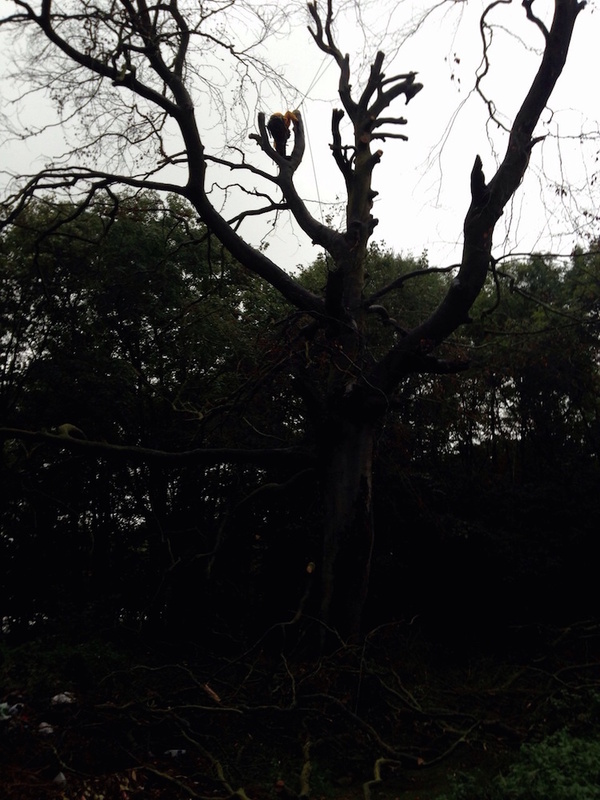 The removal of the bulk of the crown to leave only the stem or a reduced crown consistent with only major limbs. 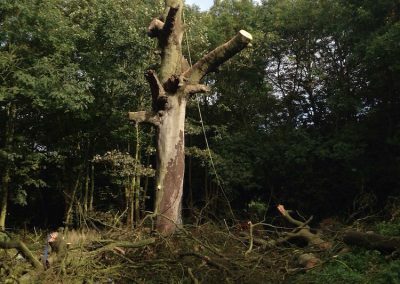 Pollarding is used for damaged trees, to reduce long lateral growth of the root structure or in some cases, reduce the uptake of water. 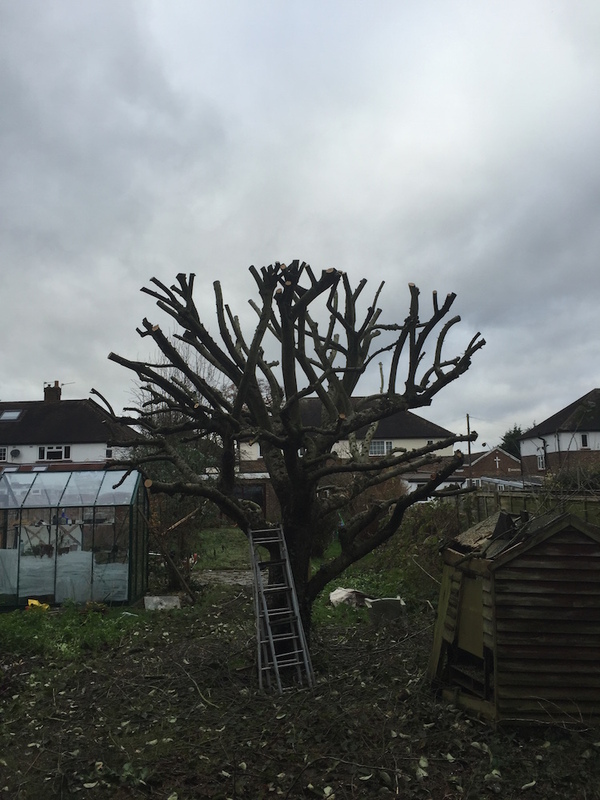 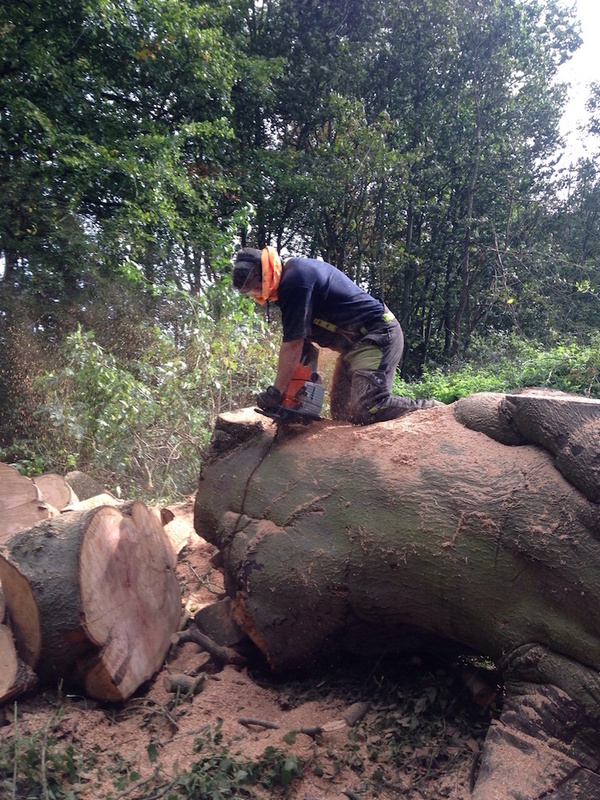 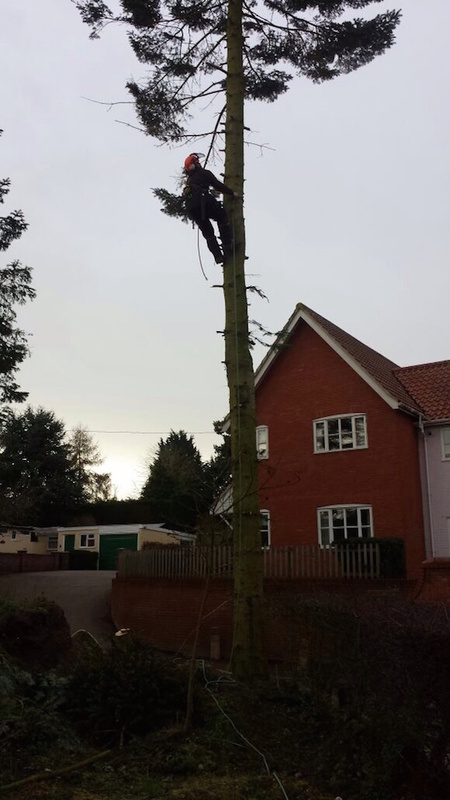 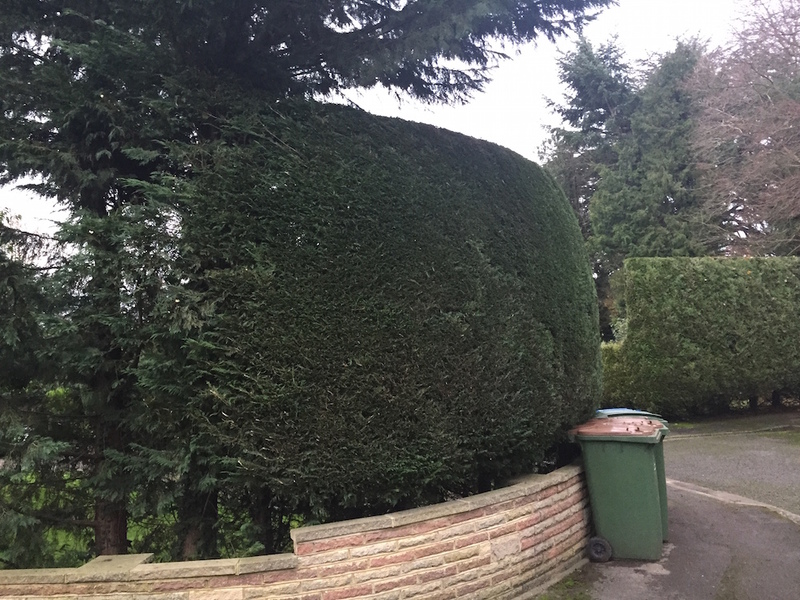 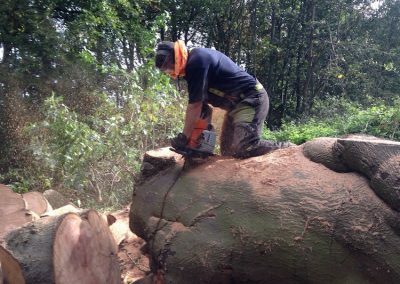 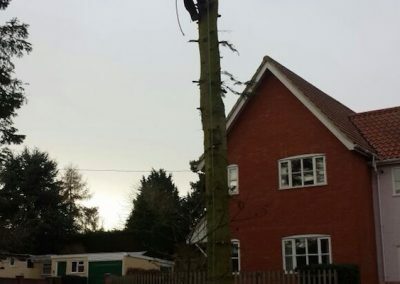 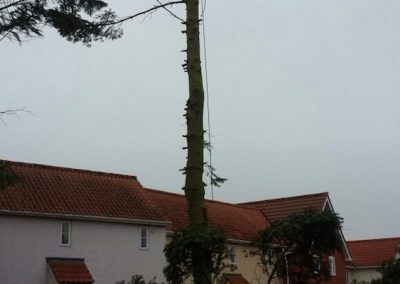 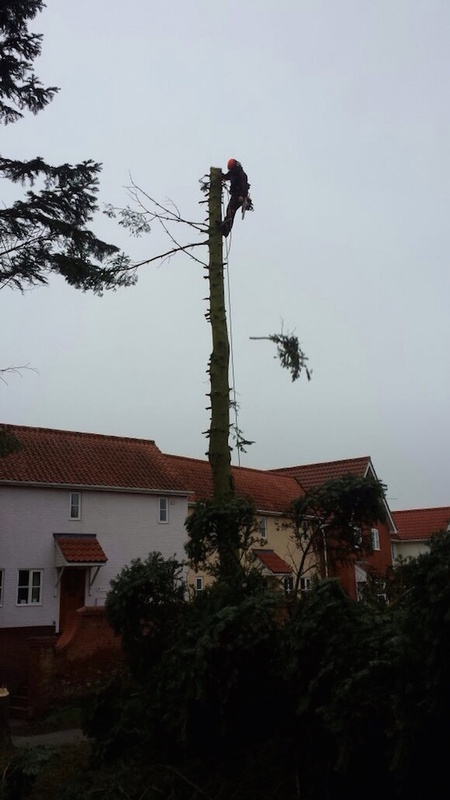 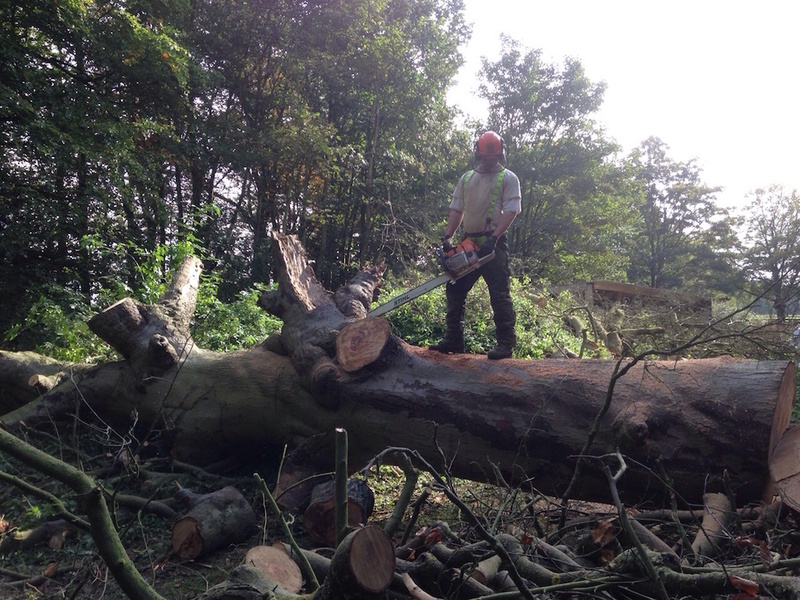 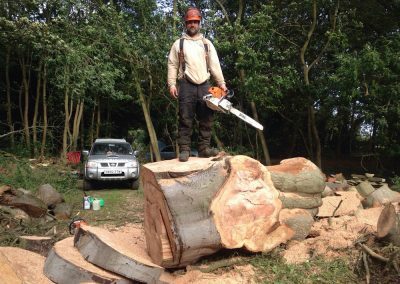 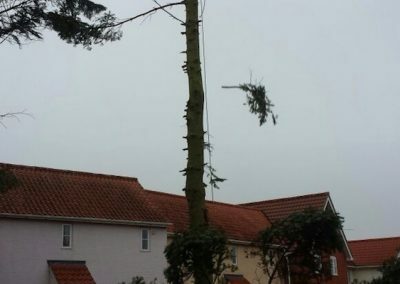 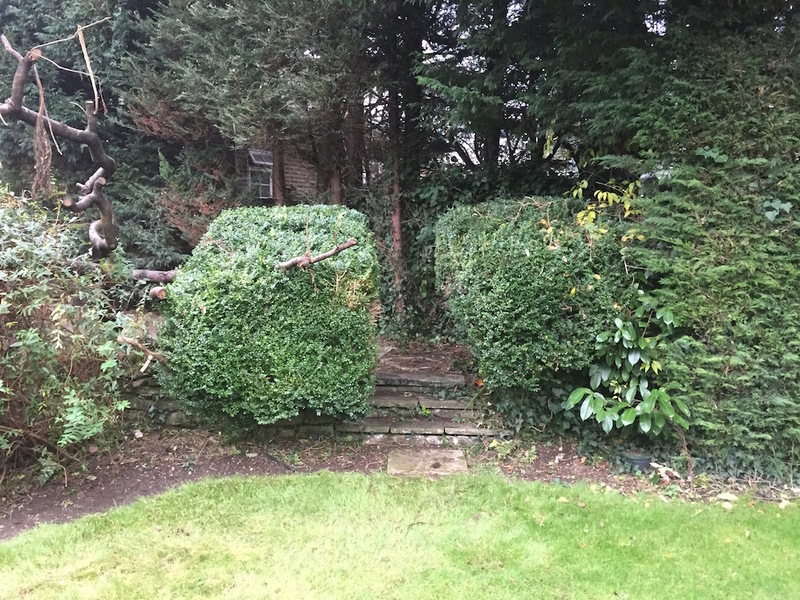 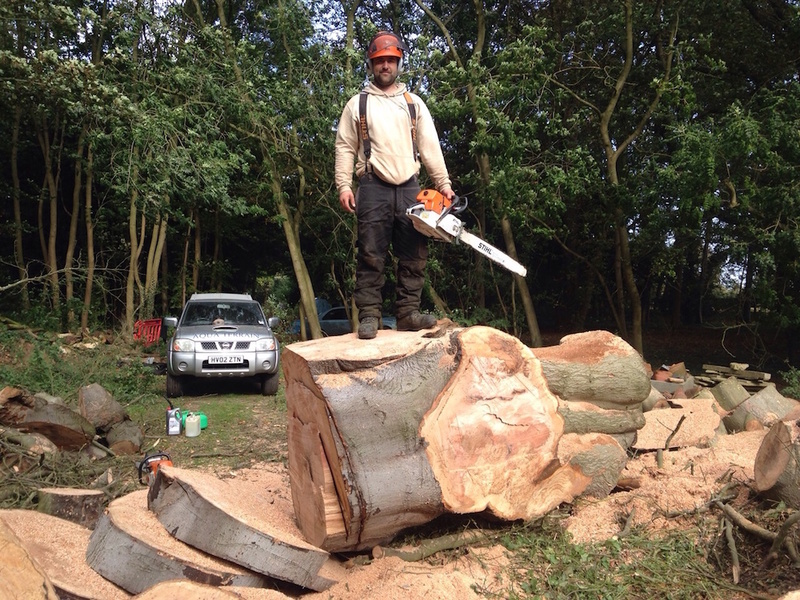 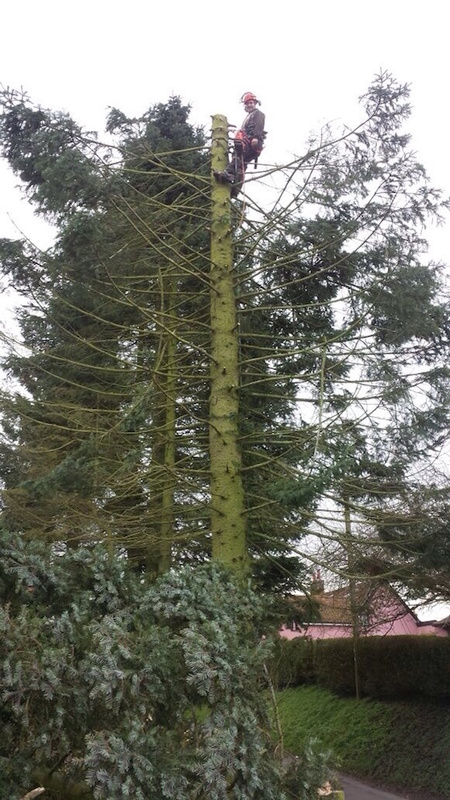 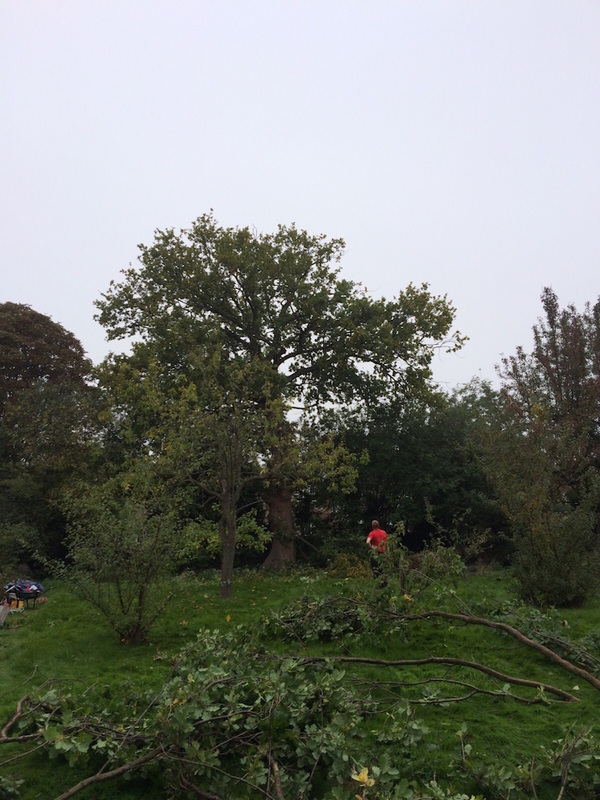 The removal of the entire tree either by section dismantling the tree or by straight felling the tree from the base. 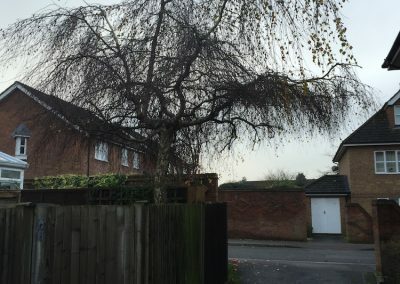 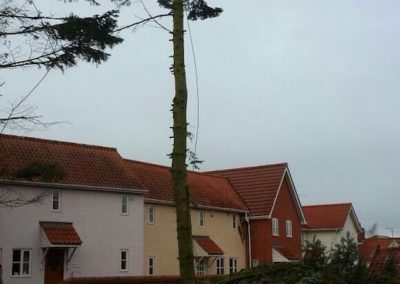 This is achieved when the tree is dead, dying, dangerous or sometimes in favour of new development. 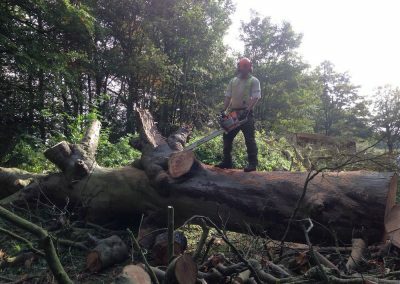 The removal of the stump and/or the lateral roots with a manned machine that chips away the wood of a stump or roots, reducing it to below ground level. 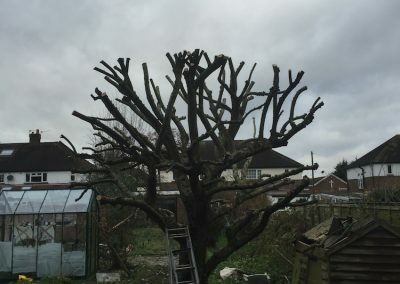 The removal of dead, dying or diseased wood, broken or hanging branches and stubs left from previous tree surgery operations. 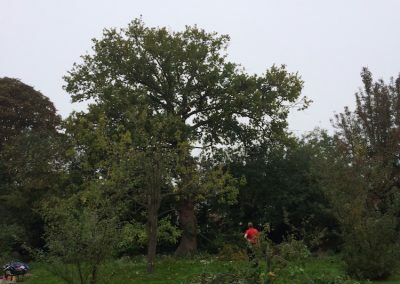 Under this legislation, an amendment to the Environment Act 1995, field hedgerows of native species fulfilling criteria reflecting wildlife, landscape or historical value (‘important’ hedgerows) cannot be removed without the prior permission of the local authority.